I sprayed three different color inks to get my desired look on my cardstock base. 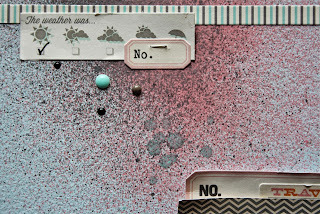 Then I totally stole an idea from a fellow blogger Ashli Oliver and spread Gesso over my patterned paper at the bottom of my layout. It helped soften the darker colors. I hand drew in some of the arrows that I wanted to stand out. Layered my October Afternoon papers, stickers, A Flair for Buttons flair, My Mind's Eye enamels and October Afternoon brads. You will see below on the completed layout that I used the same spray ink to add color to my title from Fancy Pants and wood veneers from Basic Grey. This end result is a much more pulled together layout than the last! Blue, gray and pink make me happy when they are together. This photo is celebrating my 8th Mother's day because of that beautiful boy with me. I am blessed. Thank you for stopping in. 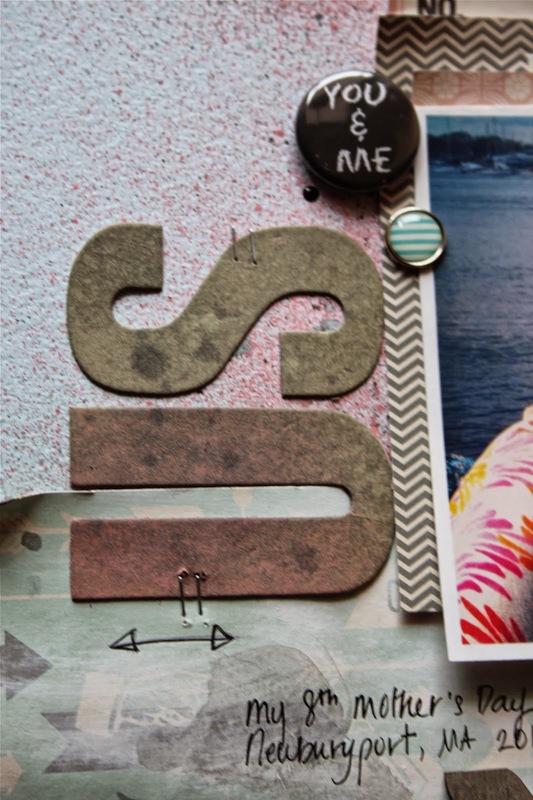 Below you will find a link to all the items you can purchase over at Eclectic Paperie. Beautiful layout, Mary Ann! Love that mixed media goodness! LOVE your layout Mary Ann! Those arrows add such a nice flow to your page and I LOVE how you have surrounded your photo with FAB colors and layers! Mary Ann, that is one cool layout. Love all the paints and inks and they did come together so well. LOve it. 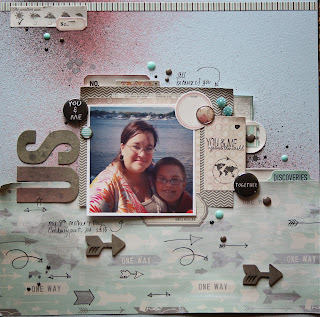 You know you're my inspiration to do more scrapbooking. 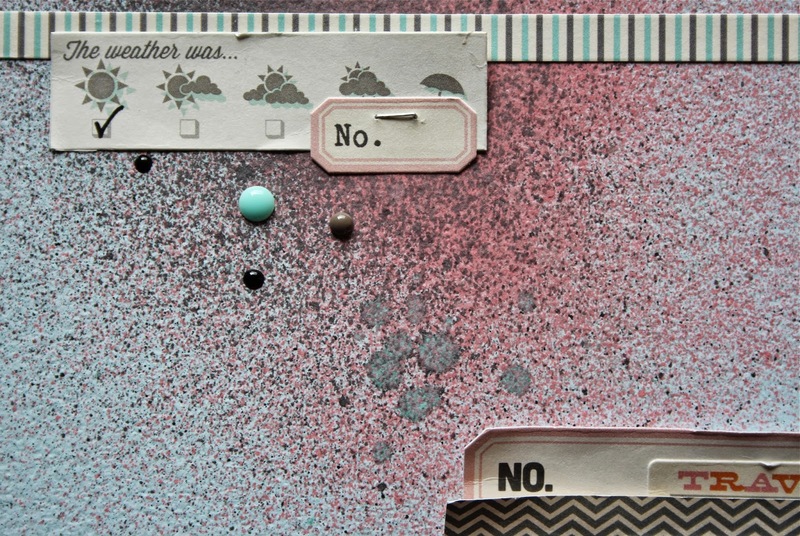 And I love how you incorporate the mixed media aspect into it. Great page. Loooove it Mary Ann. all the layers and the added touch of the arrows! !